There were 264 lots of medals and militaria in this sale. 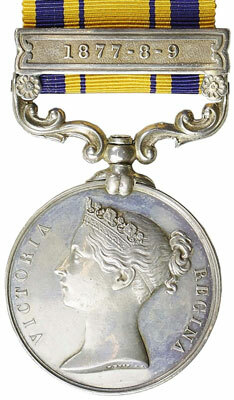 The highlights of the Victorian section were two 4 bar Crimea Medals. Lot 21 was officially impressed to Robert Sandys of the 68th Regiment, and who was recommended for the Victoria Cross for bravery on 11th May 1855 when he helped repel a Russian attack on the trenches, during which he was wounded. This recommendation was not approved, but it helped drive the price past the estimate of £1,000, finally costing the happy purchaser £1475. 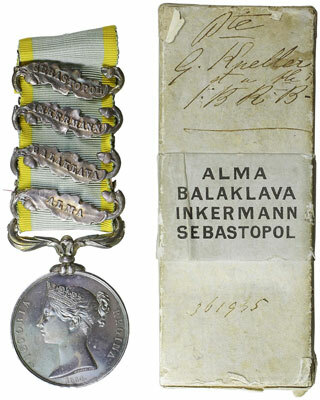 Lot 22 was equally contested and was a 4 bar Crimea Medal to G. Kneller 1st Bn Rifle Brigade and came with the box of issue and an official letter of regret that the recipient had not survived to receive the medal. This all helped its cause and a telephone bidder was finally successful and it sold for £1,652. The Zulu War medals still continue to achieve high prices. 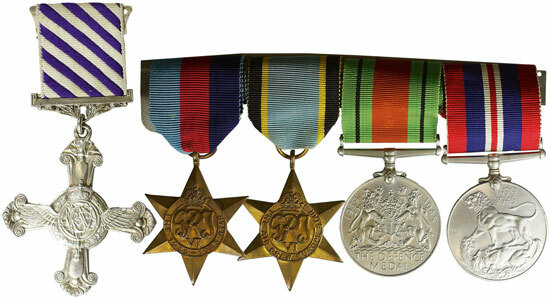 Lot 37 was a South Africa Medal with 1877-8-9 clasp to 965 Pte W. Davies 2/24th Foot which sold for £1090. WW1 was again well represented in the sale with Lot 72, a 1917 Battle of Menin Road DCM group to Cpl T.J. Green 9th Bn Welsh Regt selling to another telephone bidder for £1,593. WW2 RAF gallantry was represented by the evader’s DFC group to Flt Lt Raymond Arthur Smith, who spent 3 months on the run after being shot down over Holland. His group and paperwork sold for £3,776. 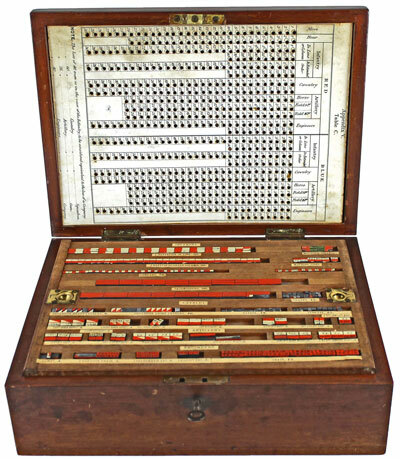 There were 90 lots of militaria and Lot 211 was an unusual c1900s cased “The Game of War” made for cadet instruction in battlefield tactics and it sold for £590. Our next medal auction will be held on Wednesday 20th April 2016. Look out for the full catalogue for this sale, which will appear on our website in the next few weeks. Also keep an eye on our Twitter and Facebook pages which will include updates of our latest auction news.